In addition to opioid and heroin addiction, West Virginians are also abusing alcohol at an alarming rate. The CDC reports that more than 10 percent of West Virginia adults and 20 percent of the state’s high school students report binge drinking. Data from the West Virginia Highway Safety Plan indicates that DUI arrest and fatality continue to plague the state’s roadways. The first step to proper alcohol addiction treatment is comprehensive medically supervised detox, the process by which alcohol abusers expel the toxins that have built up in their systems through prolonged and untreated excessive drinking. West Virginia alcohol detox centers offer residents a safe, discreet, and supportive environment to heal from their withdrawal symptoms and receive expert medical intervention in the event of a medical emergency. Alcohol detox typically lasts three to seven days and provides the benefit of expert symptom relief in private, sterile facilities. Following detox, patients should consider a comprehensive course of behavioral rehab to address the psychological triggers and fallout from their alcohol abuse. 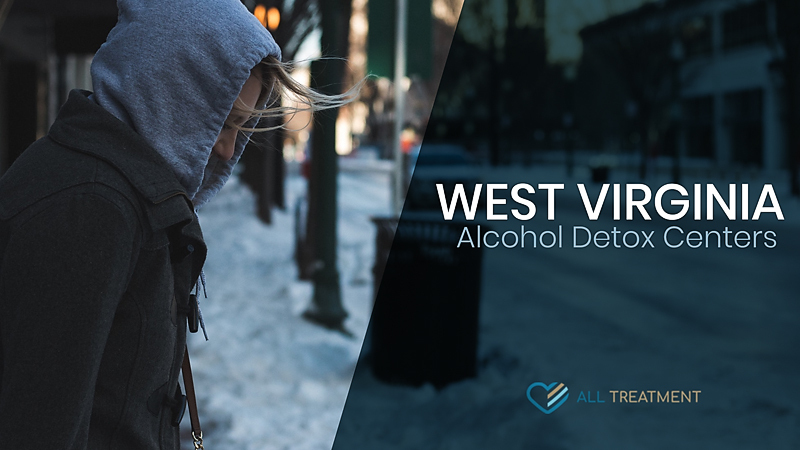 If you or a loved are among the thousands of West Virginians who have been ensnared by alcohol addiction, start exploring our database of treatment centers today.